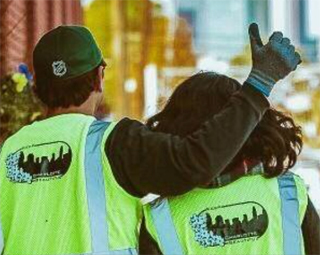 Do you have a passion for keeping Charlotte beautiful? The city of Charlotte invites you to share that passion as a member of its Keep Charlotte Beautiful board. The board has several openings. The KCB board works closely with neighborhood organizations and homeowner groups, as well as with area businesses, schools, and local governments, to create a healthier environment. KCB programs enhance the quality of life for Charlotteans by providing opportunities to maintain and improve the cleanliness and beauty of our city. KCB programs include the Adopt-A-Street program, The Great American Cleanup, and beautification grants. Learn more about Keep Charlotte Beautiful, visit its website and Facebook page. Program manager Jonathan Hill also welcomes your inquiries at 704-432-4802 or jonathan.hill@charlottenc.gov. How can I get involved with an organization planting more trees in Charlotte? Hi William. You can start with https://treescharlotte.org. This group is having two tree give-aways in the next couple of weeks.